The EFP Perio Workshop 2016, organised in partnership with the European Organisation for Caries Research (ORCA), focuses on the relationship between caries and periodontal diseases. During the workshop, 75 invited experts from the two organisations will review the available evidence on the common links between these important oral conditions. There will be special emphasis on the associated causes and risk factors and on aspects of prevention that may influence both periodontal diseases and caries. The workshop, sponsored by Colgate, takes place from November 6 to 9, 2016 in La Granja de San Ildefonso, near Segovia in Spain, which has been the venue of recent editions of the EFP Perio Workshop. There will be four working groups. Co-chairs: Mariano Sanz (EFP), David Beighton (ORCA). Co-chairs: Iain Chapple (EFP), Andreas Schulte (ORCA). Working Group 3: ‘The prevention and control of dental caries and periodontal diseases at the individual and the population level. Co-chairs: Søren Jepsen (EFP), Vita Machiulskiene. Co-chairs: Tonetti (EFP), Sebastian Paris (ORCA). The conclusions of the workshop will later be published in a special open-access supplement of the EFP’s Journal of Clinical Periodontology. 2017: EFP/AAP: World Workshop on the Classification of Periodontal and Peri-Implant Diseases. Chicago, USA. 2016: EFP/ European Organisation for Caries Research (ORCA): Boundaries between caries and periodontal diseases. 2014: Effective prevention of periodontal and peri-implant diseases. Mariano Sanz, Iain Chapple, Søren Jepsen, Maurizio Tonetti. Sponsored by Johnson & Johnson and Proctor & Gamble. 2013: Periodontal plastic surgery and soft-tissue regeneration. Mariano Sanz, Christophe Hammerle, Søren Jepsen, Maurizio Tonetti. Sponsored by Osteology Foundation and Geistlich. 2012: EFP/AAP: Periodontitis and systemic diseases. Mariano Sanz, Iain Chapple, Maurizio Tonetti, Robert Genco, Thomas Van Dyke, Kenneth Kornman. 2011: Quality of reporting of experimental research in implant dentistry. Mariano Sanz, Tord Berglundh, Maurizio Tonetti and Klaus Lang. 2010: The biology of periodontal and peri-implant diseases. Mariano Sanz, Klaus Lang, Denis Kinane, Tord Berglundh, Iain Chapple, Maurizio Tonetti. 2009: EFP-European Association of Dental Education (ADEE): Periodontal education. Mariano Sanz, Ubele van der Velden, Joerg Meyle. Niklaus Lang, Denis Kinane, Jan Lindhe, Mariano Sanz, Maurizio Tonetti. 2005: Aetiology and pathogenesis leading to preventive concepts. Niklaus Lang, Maurizio Tonetti, Denis Kinane. Niklaus Lang, Thorkild Karring, Jan Lindhe. 1993: Clinical practice of periodontology. The EFP Perio Workshop, also known as the European Workshop in Periodontology, is a world-leading scientific meeting on periodontal science. It is one of the EFP’s main activities because it establishes the knowledge base of the different areas of periodontology on a global scale. 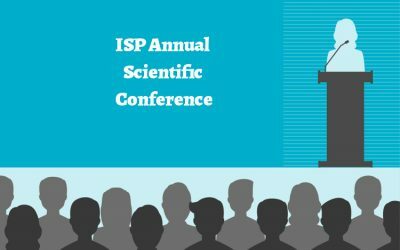 This scientific gathering of the main European and global experts encourages the spread of knowledge through the establishment of systematic reviews, structured literature reviews, and consensus agreements of great relevance and impact to the scientific community. Since 1993, 12 editions of the Workshop have been held, covering topics including periodontitis and systemic diseases, the effective prevention of periodontal and peri-implant diseases, and periodontal education. The findings of all workshops since 2002 have been published in free-access monographic editions of the Journal of Clinical Periodontology. The proceedings of the first three workshops were published by Quintessence Publishing. The workshops were initially held in Ittingen, Switzerland, under the chairmanship of Niklaus Lang. Since 2009, they have been held in La Granja de San Ildefonso, Spain, chaired by Mariano Sanz. In 2012 the first joint workshop involving the EFP and the American Academy of Periodontology (AAP) took place and a second joint workshop involving the two organisations is scheduled for 2017. “The EFP Perio Workshop has created a valuable resource of relevant scientific information in all areas of periodontology, which is highly prized all over the world,” says Prof Mariano Sanz.